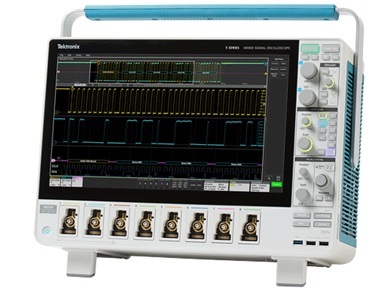 Our partner Tektronix just launched the new 5 Series MSO Mixed Signal Oscilloscope. With a remarkably innovative pinch-swipe-zoom touchscreen user interface, the industry’s largest high-definition display, and 4, 6, or 8 FlexChannel™ inputs that let you measure one analog or eight digital signals, the 5 Series MSO is ready for today’s toughest challenges, and tomorrow’s too. It sets a new standard for performance, analysis, and overall user experience.